I love avocados!!! I enjoy eating them both in savory dishes and in desserts. Yes, that’s right — in desserts. 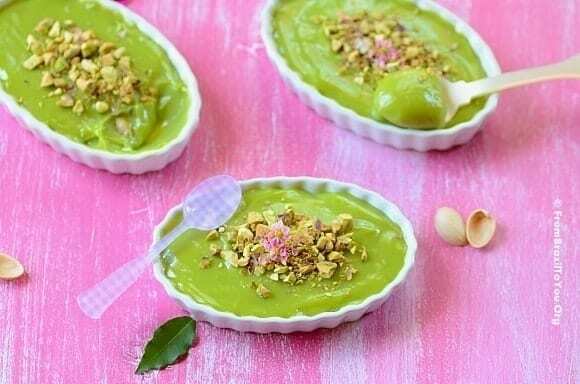 Decades before people here in the US caught on to using avocados in desserts, Brazil was preparing wonderful sweet avocado treats such as Avocado Crème Brûlée. I can remember drinking avocado smoothies for breakfast as a child, as well as devouring avocado ice cream and avocado “mousse” at snack time. This was more than 30 years ago — and avocado desserts are older than I am. 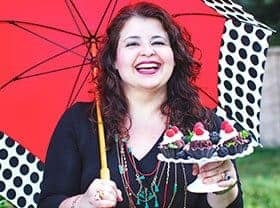 🙂 All right, an Eggless Avocado Mousse is the exact recipe that I am sharing with y’all today. 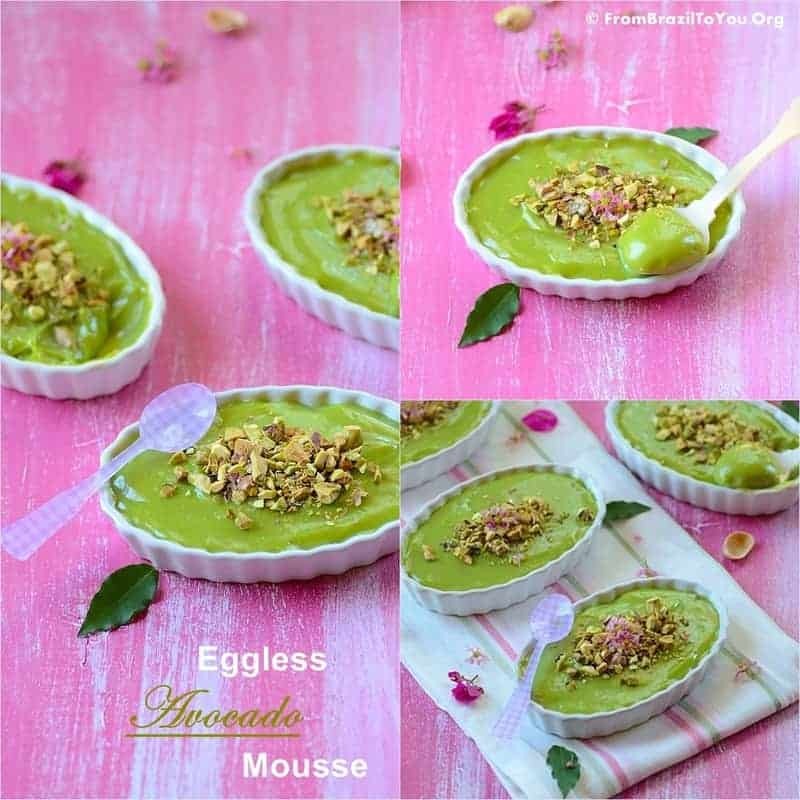 Avocado mousse is a really intelligent way to entertain guests or to satisfy one’s sweet tooth because it is delicious, elegant, economical, and effortless. Need I say more? For those who may be thinking, ‘how can a professional chef call this avocado treat a mousse,’ I’d like to clarify that our avocado “mousse” is technically a cream because it doesn’t incorporate any whipped egg whites (which produces a light and fluffy texture) or whipped cream (resulting in a creamy and thick texture). But this is the Brazilian way to make avocado “mousse.” I am just being authentic! May the French forgive us Brazilians. Although it doesn’t make use of either of the foamy ingredients above, our avocado mousse is as creamy and thick as any real mousse that incorporates whipped cream. This avocado “mousse” is an ASAP treat that can be made in 5 minutes and refrigerated for at least 45 minutes prior to serving. I am enjoying my avocado mousse right now… I hope that you make this avocado mousse and give me your feedback. An eggless, super creamy, and refreshing ASAP dessert! NOTE: Pistachios are not usually used as a garnish for avocado mousse in Brazil. It reflects my personal touch for the recipe. You can garnish yours as desired. In a blender, blend all the ingredients together, except the pistachios, until obtaining a lump-free, homogeneous, creamy mixture. Spoon mixture into 4 ramekins, layering evenly. Place in the refrigerator for 45 minutes. 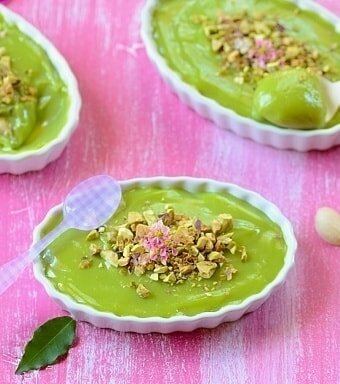 Right before serving, sprinkle about 1 tablespoon of chopped pistachios on top of each avocado mousse and serve. Enjoy! I grew up eating “avocado pudding” but it didn’t have condensed milk or cream in it! This version of yours sounds simply decadent, Denise! Thank you so much for sharing! Thank you for always stopping by and be sweet, Shashi!!! This looks so smooth and creamy. Beautiful enough to grace the pages of a magazine! Oh, Maureen! Thanks so much. Your words are music in my ears!!!! Denise, this would go so well in my kitchen – the color is perfect! It would also go quite well in my tummy, it sounds fabulous. I know the avocado makes it so smooth and silky. yum! Thanks, Chris! I know that you love avocados because I have seen so many great treats made from avocados by you. I will never forget your gorgeous avocado cake. 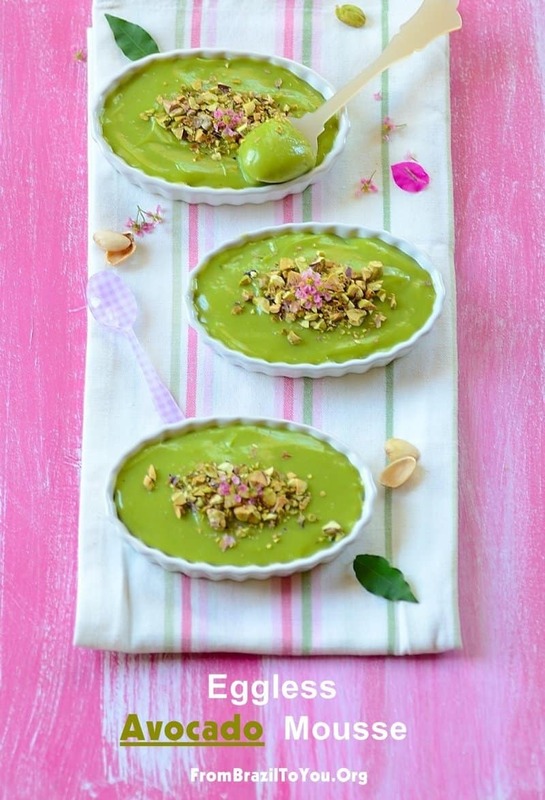 Oh Denise, this avocado mousse look so pretty, I love the condensed milk in it…what a great dessert! Thanks, Juliana! My week has been great so far although busy. Ahhh, interesting. This mousse looks so smooth and delicious. Loving the idea. I am yet to try out avocado in desserts. I love the vibrant green colour of the mousse and also the wonderful ingredients that have gone into the recipe. Has to be a winner…I may try this weekend. I hope you try, Sonali! In Brazil, we have many desserts made from avocado: ice cream, popsicle, mousse, creme brulee, yogurt, smoothie, etc. This is our preferred way to eat avocados: In sweet preps… because avocado is a fruit afterall. Thanks, Kumar! I have been eating this treat in a way that it is almost over. I am with you!!! I love anything avocado. What a coincidence about our avocado treats… I’d love to have an avocado popsicle as well. I love avocados too but have never had them in a dessert. This one looks amazing, such gorgeous colors. Thank you, Daniela! I hope you make that surprise to your family. I adore the vibrant green! What a radiant dessert that just screams cool and refreshing “summer treat”! It’s not common for us to have avocado in desserts, we are more than eat it with a lot of salt. But I used avacoda instead of butter in some recipes and gave an incredible touch. Avocado in desserts is delicious!!! What can go wrong with that avocado, it will be so creamy sweet deliciousness. First when I came here I saw people putting avocadoes in something savoury which was really odd for me as in the Philippines we use avocadoes mostly for dessert. I agree with you, Raymund! That is a such a vibrant looking mousse. I love the easy and simplicity of the preparation. I love avocado mousse. So much more healthy, creamy and dreamy deliciousness! Thanks, Kiran! Tropical fruit treats are the best!